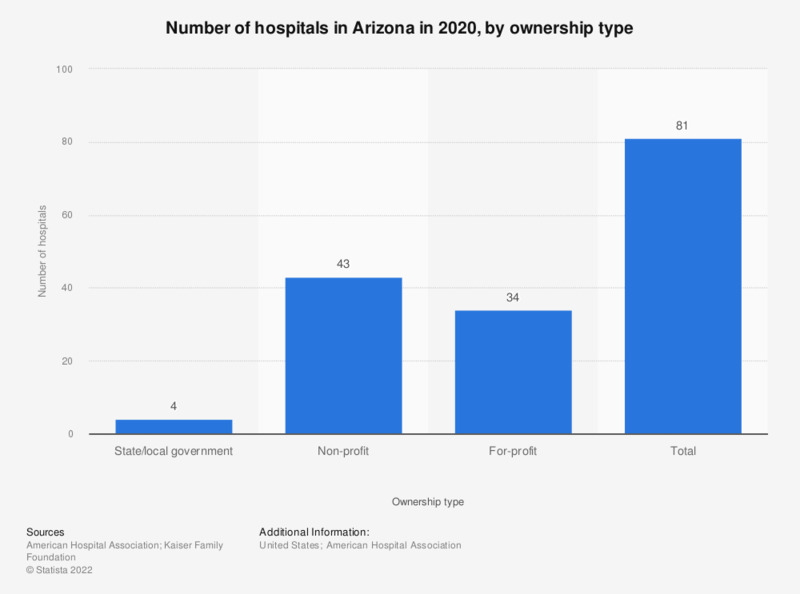 This statistic depicts the number of hospitals in Arizona in 2016, by type of ownership. During this time, four hospitals in Arizona were owned by the state or the local government. Over half of the community hospitals located in the country are non-profit facilities.